With so many New Developments being delivered in and around Sydney many of these new properties are being bought as investment properties, I’ve heard estimates of 200,000 new properties being completed this year alone. It’s likely that this trend will continue, having been the first property manager to oversee the hand over, leasing and ongoing management of several new properties I thought it’d be useful to share my experiences of some common occurrences when buying new. This is also a post that maybe a few of my clients would’ve liked to have come across before they had purchased, they’re Investment property off the plan or in a Newly completed building. This isn’t to say in any way that they’ve made a bad decision but there are somethings that a developer or selling agent won’t tell you. I don’t sell so have nothing to lose! Further to that, as a Property Manager it’s on us to foresee these issues where possible but some have been new and surprising, even to me. A new building is not and never without some form of defect or defects but owners and agents will be provided with a guide on how to deal with these and they should be reported as soon as possible to the appropriate person. New Buildings are increasingly improving their procedures and the information they provide at handover. Defects can be anything from patchy paint work, doors that don’t line up, appliances not connected (it’s happened) leaks or any number of teething issues. The first tenants will likely pick up on these as they start to settle in so it is crucial to make sure tenants are assured that you want these issues reported and as soon as possible so that these defects do not become the owner’s responsibility down the track. Many newer buildings now require that tenants pre book they’re physical move in date along with a timeframe, some even require that tenants leave a deposit in case of any damage to common areas. For the most part it’s to ensure that there aren’t an excessive number of move ins at any one time, or that the move will disturb other occupants. It also allows the building managers time to put up protection curtains within the elevators or assign a lift for the tenants use. It’s also important to know if the building doesn’t allow moves over the weekend- have been caught out there, and never again. Weekends are tenants preferred move in dates so new tenants need to know well ahead of time and generally book well in advance is as they will decline requests where there are other bookings already set. TIP: Make sure your agent has the appointed Strata Manager and/or Building Managers details so that they can obtain all the information they need. Security keys, swipes and access cards are strictly limited in newer buildings where the aim is to really ensure the building is only accessed by those that need access. Definitely something to be mindful of if you have 3 Tenants, and your access limit is 3 security passes per apartment- this means no spare set available. See Costs sub-heading to follow! Every building has its own set of By-Laws, these always need to be reviewed but especially within a new complex so things like I’ve mentioned above can be picked up. Worthwhile sharing with your tenants as well! You’ve paid for a brand-new property but are there hidden costs? Well there may be. If you have more tenants on a lease than you have security keys these need to be provided to all tenants listed on the lease, some buildings limit how many they’ll issue to each property- that limit could be just at settlement or a limit imposed permanently. With a new building, will come a New Development Charge if your tenant wants to be connected to the NBN. Currently $300.00, as to who’s responsibility it is to pay is highly debatable. While the lease will state it’s the tenant’s responsibility, a lot of advice on this leads to fact that owners “should” reimburse tenants as that connection will remain with the property long after the first tenants have moved. Does your property come with Blinds? A worthwhile question asking at the point of purchase or you’ll need to provide these for tenants and arrange them once you have possession. From my experience most New Developments don’t come with any window coverings. Repairs are inevitable with all rental properties and one would think that with a new property there would be little to maintain, and you would be right as most repairs would come under defects so reporting these are crucial in the first weeks. When doing your Pre-Settlement Inspection, which should be the time you’re looking for defects is to take a close look at the finished paint job. Not only obvious patchy paint work but it’s sometimes obvious that new apartments are only given one undercoat and one coat of paint, you’ll be able to tell by the appearance and it is especially obvious on any internal door frames. Have a feel of bench tops surfaces and floor boards, while everyone loves the look of raw materials in many cases, I’ve seen unsealed surfaces that are no good when it comes to every day spills and these materials will soak up stains. While the builders may not rectify this it’s something that should be detailed at the time of purchase, specifically materials and finishes. Whatever assurances or inclusions are promised- get it in writing! TIP: Agents need to make sure that the Strata & Building Managers know who is managing the apartment and ahead of any tenants moving in. They need contacts in order to resolve any issues. When a new building gets its final tick of approval, AKA an occupation certificate, new owners will rush to get their keys. Then the individual properties will start to surface on the rental market and where the properties are all new and appearing online one after the other, pricing is everything. Your pricing really will be based on how your property sits against the others. Is your floor plan more practical and spacious? Do you have a better aspect? What I did in a recent situation was unashamedly attend the competitions inspections, being upfront about who I was of course to see where we sat compared to other properties and priced it accordingly. Thinking as a tenant though, if you’re looking in a new building, you’re also likely to have a look at as many available properties as possible and they’re likely to have their pick based on preference. TIP: If you’re paying for professional photography, have your photos watermarked with the agent’s logo- or it’ll be a free for all to use- at your expense. Speaking from experience I’ve always believed that these factors impact greatly on the service and delivery that clients and tenants experience within Property Management. Maybe more broadly these are issues impacting so many other industries! I mean the number of properties that a Property Manager needs to have under their management in order for their position, and the business that they work within to be viable. I was chatting with a tenant the other day and he was asking how business was going and how I was managing it, I said something along the lines of it going quite smoothly especially as I was now only managing just under 50 properties. They’re response was “ONLY!”, yes only. I’ve worked in offices managing up to 250 with minimal administration support. The numbers of properties that the majority of property managers have under their watch is simply too many. It’s already a mammoth task being organised enough to smoothly manage these figures but for so many property managers it can just take one situation occurring that sends everything else crashing down, and it’s the norm for unexpected situations to arise, Constantly. Obviously, a business needs to be profitable but what do we see when volume is always running at its upper limits, we see Staff turnover, dissatisfied clients that go elsewhere and complaints. It also leaves no room for growth either. As an investor, you really should find out how many properties your Property Manager has under their management, after all, what are you paying for when you can’t get a call or email response for 2-3 days. What about the Staff turnover that this model creates, Property Managers burn out and when they do, they leave the industry or that particular office they take with them all of their knowledge about your property – information and knowledge that can’t be all included in a handover- where handovers are rare! New recruits are not lining up to get into property management, let’s be honest, they either want to get into Real estate sales or stay away all together. 2019 started off with a lot of online chatter about procrastination and how it really is the handbrake of progress and a real stressor to many people. We all do it, not just Property Managers but I’ve seen a lot of it in my time. In Property Management I think much of the time, procrastination may just be a person that’s been non-stop busy, relishing whatever down time they can get and therefore just putting off tasks that are non-urgent. I can almost see the rational there but whatever that task is, it will continue to just get put off Until it becomes urgent and in property management- like many roles- we should be proactive instead of reactive. Within Property Management though procrastinating a specific task turns a non-urgent issue into an urgent one quickly, simply because that proactive approach is needed. Property Management is a stressful space and it’s deferring stress that leads to procrastination because we as humans worry about the short term. Explained clearly in a New York Times article I recently read “Put simply; Dr. Pychyl and Dr. Sirois found that procrastination can be understood as “the primacy of short-term mood repair … over the longer-term pursuit of intended actions.” Put simply, procrastination is about being more focused on “the immediate urgency of managing negative moods” than getting on with the task, Dr. Sirois said.” A worthwhile read, the article can be found here. Basically, a Good Property Manager needs to “Just do It” and get on with the tasks at hand. -Ask. How many properties does your potential property manager look after? You need to know where you sit amongst a sea of properties and clients that they are managing. -Observe. How quick is the turnaround time for simple or even more involved enquiries and questions? If it’s slow, it doesn’t usually improve over time. And Remember. The service that you receive is similar to that of which your tenant is going to experience, and we need tenants to be looked after! These days we insure everything and as a landlord it’s now seen as must to have a policy in place that covers you as a landlord, the choice of policies are endless which has made for some competitive pricing. Getting the right policy is not always clear but so important. Claiming on your landlord’s insurance policy shouldn’t be and isn’t in my experience a regular occurrence but where a Bond can be consumed so quickly for Rent Arrears, Invoices, Damages and cleaning it’s a must have in place, if you as a landlord, do not wish to bear a financial loss when a tenant vacates your property or a typically insured event occurs. Pursuing a tenant where a property has been damaged or the tenant has absconded can be a minefield, and most property managers can guide you through or facilitate that process, BUT, there’s only so far we can go. Property Managers can get Tribunal issued orders and attempt to have those orders enforced via a local court or even a Debt recovery agency but those do Add on more costs in fee’s and charges which the landlord needs to cover until recovery or a successful insurance claim. A better alternative is a thorough Landlords insurance policy (some costs less than $1.00 per day), believe me this is not an advertising situation as I can’t legally recommend any one Insurer but I can advise of several companies that give you a policy you can actually claim on when need be. A tenant had vacated the property leaving us with a small amount of rent owing, cleaning and repairs to walls which quickly consumed the rental bond. They’d also obviously been preparing food directly onto a New Marble Benchtop leaving knife marks across the marble surface. The Owner was not covered for what the insurer classed to be Bad Housekeeping and had to pay to rectify the damage. Despite enforcement orders and Listing this tenant on a database the owner did not recoup their loss. This was a policy costing $900 per annum, Insurance from a Landlord Insurance specific provider would have provided coverage at a cost of $323.00 per annum and would have covered the cost of re polishing and surface protecting the marble. It’s not all that hard to change and the cost savings should be motivation enough. The take away advice here is get your current policy and check it twice and if you don’t have landlords insurance then get it! Most of the policies from specific Landlord Insurers cover all of these items above, whilst I can’t recommend you to one insurer for legal reasons, you can ask me for Brochures of several insurers that I have worked with in the past so you can make an informed decision. In the end you’re paying for peace of mind and protecting yourself from potential financial hardship if you end up with unexpected costs and a property in a state that can’t be re let straight away. Property Managers fear it, tenants hate it and owners are usually just confused by it but it is unfortunately a part of life in many properties in Sydney so we have to talk about Mould. Why it’s a thing, why it’s an issue and a serious sticking point when it comes to renting, managing it and who exactly is responsible. So here goes! Despite the common belief that there is always an underlying building issue or source of its appearance in many cases it just isn’t so as many properties are susceptible to mould due to factors such as a lack of natural light and ventilation and allowing a property to be ventilated to outside is a big factor in allowing mould to grow and spread. Mould’s organisms (part of the common fungi group) are airborne everywhere, indoors and outdoors. It is in moist and inadequately ventilated areas’ that inhibits its growth it thrives on moisture and organic material. Another important note is that mould needs to be cleaned / killed as it appears but not just from walls, from clothing, glass and window frames really wherever it appears and thoroughly. It will otherwise continue to grow if the environment allows it to. All forms of mould have some potential to cause health problems. The responsibility of a mould issue can be summarised by Landlords being required to address any dampness issue, i.e. a leak or water penetration issue that is causing the problem, however a tenant must ventilate the premises and is advised to clean mould as it appears. There are ways in which mould can be managed and in a Residential Tenancy it does require some effort on the tenant’s part so here are some tips I’ve gathered from NSW Health, the office of fair trading, experience as well as other agents. If not removed/ cleaned then mould will grow and spread. Mould can be removed using either a household bleach, specific mould cleaning product or wiping down the area with Vinegar. The appearance of mould does not always indicate that there is an underlying issue i.e. a leak or water penetration issue. Hope this can somewhat dispel some theories and thoughts about Mould, let me know if you have any other thoughts or want to ready about any other issues. I’m all ears! I was going to include this in my FAQ recent post which can be found here, but the answer became a bit drawn out, hence why it gets its own post. When it comes to Property Managers it’s safe to say that a lot of Owners and Tenants have unfortunately low expectations, preparing them for lessened or expected disappointment when things go wrong and because of this we have an industry with transient clients, constantly changing Property Management providers. Low expectations can also make exceeding expectations an easier task for Property Managers, do standards therefore decline? So what are some of the expectations that you should have of your Property Manager, quite simple and basic in my opinion especially when considering that Property Management is essentially a service providing industry. Whilst you’re not interviewing for your future best friend, you need to be able to communicate openly and honestly with your Property Manager and be well aligned in your aim and how you want your property managed. Make your preferences clear from the outset and gage the Property Managers willingness to deliver. Whilst everyone must start somewhere, at the very least a Property Manager should have experience in managing their own assigned portfolio of properties. You ideally want someone that’s been in the industry long enough to know their market and has been around long enough to have experienced some of the pitfalls first hand, it isn’t always smooth sailing. In essence, expect that the Property Manager knows what they’re doing and when an enquiry or issue arises that they know how to respond to it and handle it. Necessary for Property Managers throughout their role, Property Managers need to be across a lot of detail. From thorough inspections and reporting you want someone who can point out possible repercussions and therefore be proactive in preventing issues whether they be short or long term. As an owner or a tenant, you’re unlikely to know all of the ins and outs so having an adviser on all matters demonstrates their level of experience, attention to detail and communication skills. A significant complaint I’ve heard from Owners and Tenants is a lack of communication, and it’s the most significant sticking point for many. Not replying to phone calls or emails in a timely manner, or at all in some cases, cannot be seen as acceptable in a service providing industry. You should expect effective communication and in a timely manner, anything less builds frustration and resentment. A lot of the time my clients and tenants just want to hear something, even if I have nothing ground breaking to report on a particular issue at least they know that I’m onto it, haven’t forgotten about or provide whatever update I have which doesn’t leave people wondering what is going on. A lack of communication can be attributed to time poor Property managers or those who don’t have time management skills and that can mean a lack of organisation – another must have attribute for someone managing many properties and a wide-ranging list of daily activities. Is it that they’re busy because of a heavy work load from a large portfolio or a simple lack of support? In the end a Property needs time devoted to it if it’s to be effectively managed. That means inspections, communication and coordination. If your property and its needs aren’t given time then small issues become significant ones. So, while delays in getting issues resolved can happen you can expect that they shouldn’t be caused by your Property Manager but more so followed up and pushed along by them. Thorough, up to date and ongoing education is a must in this field, with the Residential Tenancies Act being reviewed every five years as well as regular regulation changes it can’t be up to an Owner or Tenant to keep abreast of all the changes that are relevant to them. 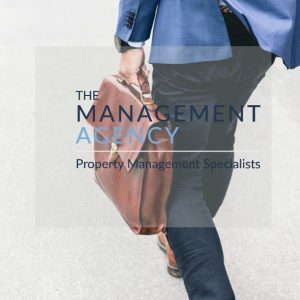 It is a Property Managers role to ensure that all activity related to Owners, Tenants and the agreements in place are compliant and to pass on relevant education to owners and tenants so that all parties are in the know and ensuring they’ve taken appropriate steps towards being compliant as well. Within reason expect that when there is a problem that you’ll be given some solutions or at the least some options that will lead to a solution. A Property Manager should always be focused on a resolution and not solely dwelling on the issue, where seeking instructions a Property Manager should offer suggestions or guidance and not simply be a messenger requesting instruction but actively take part in the Problem solving. Whilst it’s a Property Industry it’s even more so a people industry, when working with people’s properties and tenants homes some level of emotion and attachment is ultimately involved. People need to be treated with respect, empathy and courtesy so you want someone that will take care of a property but more so the people residing in it and clients. So how do you find a Property Manager that will meet your expectations? The most helpful way is to ask for honest opinions and recommendations from family, friends or colleagues. Failing that, do your research and find a Property Manager that suits your needs and can deliver on your brief, once you have short listed a few, meet with them individually and ask questions. Find out how many properties they manage, is the Director Involved in Property Management and do they have support and backing of a team. Meet with the person that will be managing your property on the front line and use your intuition as well. Lay out your expectations so you can be given some assurance that they can be met, a good property manager will tell you honestly if your expectations or instructions are not realistic or inline with proper practice, they should be able to communicate effectively and therefore not be afraid of raising concerns or having a difficult conversation. Remember that it’s preferable to be aiming for a working relationship that is hassle free and enduring, in the long term you’re best off having the same person across all aspects on your Investment’s management as that person becomes familiar with your property as well as your goals and the way in which you want things done. Property Managers are, at no fault of their own, sometimes handed a large portfolio of Properties to manage and it’s not unusual for one Property Manager to oversee the management of 200 Properties. If that portfolio is not being managed well or is a difficult portfolio that needs a lot of work then the service provided will reflect this and the efficiency needed will not be there. While I firmly believe the expectations, I’ve listed are reasonable in some cases, Property Managers generally need to be cut some slack. It’s a tough role and it’s not for everyone so make sure you find the right one and then hold onto them. You’ll be made a lot of Promises as either a tenant or owner, when these are met you’ll know you’re onto a good thing. Should I pay additional costs for Professional photography when marketing my property? Professional Photography is being highly used across most advertised rental properties nowadays and it’s a worthwhile investment. A set of professional photos shows your property in the best light and makes your marketing present in line with the majority of properties listed. Have a scroll through domain.com.au or realestate.com.au and you’ll see some really poor photography that won’t get potential tenants through the door. Photos can generally be reused several times if the property remains in the same state. How much vacancy is there usually between tenancies? This always depends on supply and demand but good planning and best practice should have your agent planning and allowing a minimum of 2-3 business days in between any tenancies. This ensures there is time for a final inspection, any cleaning or necessary repairs to be carried out to ensure your property is ready to start your next tenancy on the right footing. Do I really need landlords Insurance? Put simply, Yes! Just like you ideally wouldn’t drive your car without insurance the same goes for an investment property. The bond can be consumed so quickly with rent, cleaning and damage whether it be accidental or malicious. Landlords insurance can equate to as little as $1 per day. My recommendation is to always go with a specialist Landlord Insurance provider. Every agent recommends Annual Smoke Alarm servicing, is this a must? It is highly recommended because it properly documents that you have taken steps to be compliant in ensuring a working smoke alarm is fitted. Outsourcing this to a professional for a small fee of $99.00 is paying for peace of mind as you are issued with a certificate of compliance and the annual fee covers as many call outs as necessary throughout the year. What do agents mean when they offer “Portal” or online access to information? This means an owner & tenant for that matter has 24/7 access to their statements, access to any invoices and can check things like, the lease expiry, balance of rent held and where their tenant is paid up to. Landlords also have access to see any maintenance that is pending or completed. The portal I utilise also displays past inspection reports and anything I feel is important to share with clients. It also gives tenants access to receipts, shows them where they’re up to and next due. Should I have my agent pay my outgoings, such as council rates, water rates etc? This completely depends on your financial position as an agent will pay any invoices as they come in, from your rental income. It takes the onus off the owner. A major benefit is that at the end of the financial year all of your Income and expenditure is captured in a statement that your accountant can decipher in minutes, so for that it is worthwhile. Plus, it is one part of the service that agents offer inclusive of the management fee. Can I see my property during a tenancy? Why not, if anything I’ve always thought it’s a good idea from time to time for an owner to see their property first hand with the agent present to discuss maintenance and/or to establish a maintenance plan, in order to maintain the property and its market value. Tenants don’t seem to mind as long as the appropriate notice is given and it’s also a good opportunity to catch up with your agent. 8. How do I change agents when my Property is tenanted? For the landlord it should be a simple as some paperwork. The newly appointed agent will oversee the changeover process in contacting the tenant and liaising with the previous agent to collect everything all the necessary paperwork in relation to the property. Does changing Agents during a tenancy impact or inconvenience my tenants? No, the only real change for tenants is who their new point of contact is and where they pay their rent to. Aside from that an inspection should be carried out for the new agent to familiarise themselves with the property and an opportunity for the agent to meet the tenant. Is using an Agents trades person the way to go for maintenance? In most cases the agent will have a set of tried and tested contacts for repairs, maintenance and improvements. These tradespeople value their working relationships with an agent and it is in their best interest to ensure that a job is done effectively and efficiently. Unless you have your own contacts then outsourcing the management of repairs and maintenance to your agent, on your instruction, is the most efficient way as the agent will keep records such as warranties and document details regarding the history of completed maintenance for your property. If I’ve missed something you’re curious to know – as always feel free to reach out. Tenant’s Questions Answered coming soon! Considering that Sydney experienced some unusually high vacancy rates over the past 3 Months I can say first hand that savvy tenants have had their pick of properties, locations and the amenities on offer. In good news though, things have picked up over recent weeks with properties being tenanted quickly but it’s got a lot of Property Owners thinking and planning ahead to make sure they’re well placed ahead or amongst of the competition down the track. We all know renovations and improvements don’t happen overnight so planning ahead or at the least keeping in mind that new kitchen down the track is something owners can do to prepare for reletting their property next time around. I’d add to Kate Farrellys’ article below is, but maybe it’s a given that, there’s nothing like a fresh coat of paint! ”It’s never been more important for investors to understand which features deliver the best rental return” writes Kate Farrelly for Domain. In recent weeks he fielded above-average interest in a Mordialloc (Victoria) ground-floor apartment with a 25-square-metre courtyard on title. It leased at the asking price ahead of three upper-storey apartments in the same block, which are still on the market. “Tenants are willing to pay a good amount more to have a good courtyard, particularly if they can have pets there. People go nuts for a big courtyard,” reports Andrew Rowland. A large private outdoor area will always appeal to tenants, who will pay a premium for such space. Michael Matusik, independent housing market analyst and director of Matusik Property Insights, says investors can achieve a rental premium of up to 20 % for a pet-friendly apartment. My own experience shows there is more and more demand for pet-friendly places. We find that a storage cage is an important feature with new apartments, as they sometimes lack internal storage – a cage allows for the storage of large items such as spare furniture, bikes, etcetera. Downsizers frequently have overflow belongings requiring storage, as do those with sporting equipment such as golf clubs and skis. Drive-in, secure parking is a definite plus for tenants. Tenants prefer the ease and security of their own parking space and will pay extra rent for one or two spaces. It’s best to steer clear of stackers and car lifts, which might offer off-street parking in busy areas but can be a big turn-off for (particularly older) tenants. Timber floors are really popular, but if not then new carpeting is a major plus for tenants. Let’s add staying away from some trends! Think long term. “Tenants want to feel a sense of space, to see some sky, to see some trees. They don’t just want to look at a wall or panes of frosted glass,” states Andrew Rowland. We find many tenants look for apartments with a northerly aspect to maximise light and sunshine, and in the absence of these features the property can have a longer vacancy and a lower return. Michael Matusik says one-bedders deliver high returns in locations where they attract premium professional tenants, giving the example of a doctor wanting to live close to a hospital. But elsewhere, Matusik says, apartments with two bedrooms and two bathrooms that allow share households generally deliver the best rental dollars. Of course, real estate’s golden rule of location remains critical for securing a top rental return. And when it comes to apartment living, Matusik says the increased density needs to be offset by quality outdoor and lifestyle amenities. “You’re trading your inside space for your outside space,” he says. “So, you need to ask the question: Can I go for a run, can I walk the dog, are there decent restaurants and coffee shops nearby?” Matusik reports apartments within a five to 10-minute walk of transport will attract a higher rent, as will properties within walking distance of employment hubs, the beach and thriving shopping districts. Updates Below: Tenancy Reforms, change is on the way! A recent update by the Real Estate Institute of NSW indicates that the reforms will be rolled out in two stages in 2019. Exact commencement dates of the new legislation hasn’t been announced as yet but will be sure to keep this updated. The below outline from the REINSW gives some approximate timing and the stages in which the changes will come into effect. 2) Stage 2: Remaining reforms. NSW Fair Trading are looking to commence stage 1 prior to March 2019. This means that targeted consultation will occur over the coming weeks on the declaration form which has been issued to REINSW (the rest of the domestic violence changes are reflected in the Act). REINSW Legal Counsel and the RTA Sub-Committee have held their first meeting to discuss the declaration form and its content, and REINSW will be lodging a Submission on the declaration form by 28 November 2018. NSW Fair Trading are looking to implement stage 2 later next year. NSW Fair Trading have informed REINSW that formal consultation on the stage 2 reforms is not planned to occur until after March 2019. In any case I’m assured that the REINSW will be keeping their members in the loop which I will then update here. Having attended an Information Session today held by the Real Estate Institute of NSW on the Residential Tenancies Act it appears changes are imminent. What has arisen out of the reforms are definite changes, though alot of detail and “grey areas” are needing further clarification. The vast majority of these changes are not retrospective. So more to come on this as well and more changes as I’ve heard much discussion about reviews surrounding Rental Bonds and what will be some clarity around Mould and Responsibilities. What I do look forward to, is a transition towards Real Estate becoming recognised as a Profession which is currently being lobbied. This could see the creation of a Real Estate specific commissioner overseeing the industry instead of Real Estate coming under the NSW Fair Trading umbrella. This set of Professional Standards is likely to come about in 2019 following on from reform and changes surrounding Real Estate Agent Licensing and changes to Continuing Professional Development which is being set out at the moment. What will that mean, Real Estate Agents will have a much higher standard of training and licensing entry into Real Estate roles. For the time being, all remains the same while the Residential Tenancy Acts’ new set of Regulations is drawn up. Interesting times as always to be a Property Manager but also a Landlord or Tenant and not only is there much work to be done on these and further reforms, there is a great need for Education across the Property Management and more widely the Real Estate Sectors and this education must then be passed onto Landlords and Tenants who all have a vested interest in this space. That’s what I plan to continue doing with both my blog and down the track newsletters, sharing valuable and relevant information. I also plan to do this one on one with my Owners and Tenants so that everyone knows where they stand and in turn add value to everyone’s experience with The Management Agency. I appreciate you following these updates and am sure there will be much more to come! Reforms to the Residential Tenancies Act have passed without amendment, according to the Real Estate Institute of New South Wales. These major changes affect the real estate industry, landlords & tenants. REINSW President Leanne Pilkington said the Residential Tenancies Amendment (Review) Bill 2018 has passed and REINSW is now commencing the first phase of educating the property management community. “It is important for our profession to understand all of the changes that the new Bill includes. We will be conducting intensive Training Sessions in 17 locations across the state beginning in Sydney next Thursday 25 October and runinng to 29 November 2018. “The second phase will follow the release of the Regulation, which are the guidelines that dictate how the act should be applied. The bill will now be sent to the Governor of NSW for his assent. A date for the reforms to be implemented is yet to be disclosed. I will be attending an REINSW session covering the reforms in Late October so more details to come! The NSW Rental market is constantly changing and growing, more than 820,000 households live in a rental property and the demand continues to grow with more and more people renting and renting for a longer period of time. Yes, we’re heavily governed by the Property Stock and Business Agents ACT (PSBA) and the Residential Tenancies Act (RTA) and we need to be considering how many people live in rented premises and rent out their properties. Under section 227, the Residential Tenancies Act must be reviewed every 5 years to determine whether or not the objectives and terms remain valid and appropriate. This current review process started back in 2015 and is now finally being debated this week in NSW Parliament. Much is being said in the media about what is and what isn’t up for discussion. The biggest debate stems around “No Ground Termination Notices” and the large majority of people that want to see the ability for landlords to terminate on No Grounds gone all together. Some years back the notice period was increased from 60 Days to 90 Days and tenants are allowed to leave at any time within the notice period without giving counter notice. That took some time to register with landlords but has always worked well, it’s given tenants ample time to find a new home and the flexibility to secure it. It’s unfortunate that issuing a Termination notice is being viewed as retaliatory where in most cases the owner genuinely needs their property back, to live in, to renovate, to sell. All in all, there are some good changes that will help our many tenants make themselves at home and give them some certainty. It does appear that Owners’ will be left with less certainty if tenant’s will able to break their leases with smaller penalties leaving them open to vacancy, re letting costs etc. No one seems to be all that sympathetic though. It doesn’t seem that any changes will occur to No Grounds Notices at this Review, but who knows, the next review is only two years away! https://themanagementagency.com.au/wp-content/uploads/2018/09/ross-findon-303091-unsplash.jpg 2988 5312 TM-manager https://themanagementagency.com.au/wp-content/uploads/2018/06/tmalogo.png TM-manager2018-09-26 04:19:452018-12-04 02:05:27Updates Below: Tenancy Reforms, change is on the way!